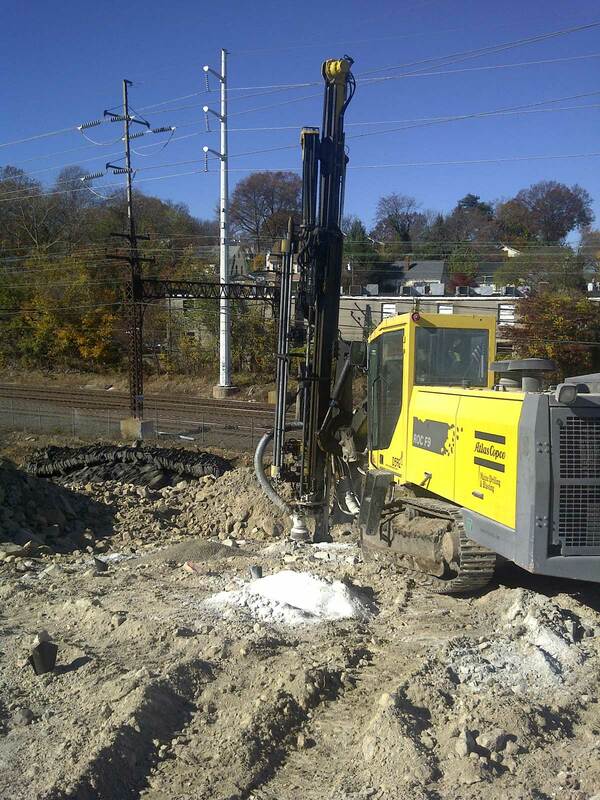 To drill and blast approximately 90,000 yards of mass rock and 4,000 yards of structure rock for a new train station parking lot and future building pad. The blasting was located anywhere from 400 feet to 20 feet from the tracks. There were 45-foot cuts within 100 feet of the tracks. 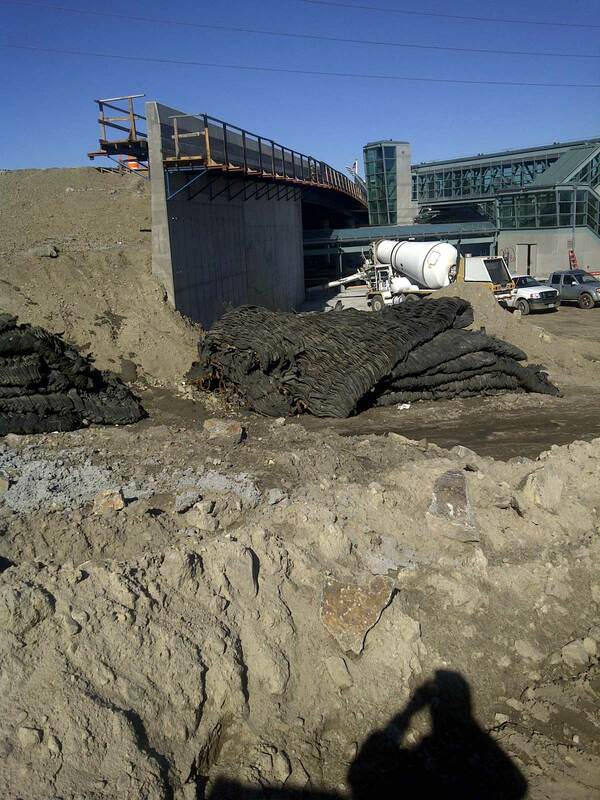 There were 30-foot cuts within 12 feet of a new bridge abutment. 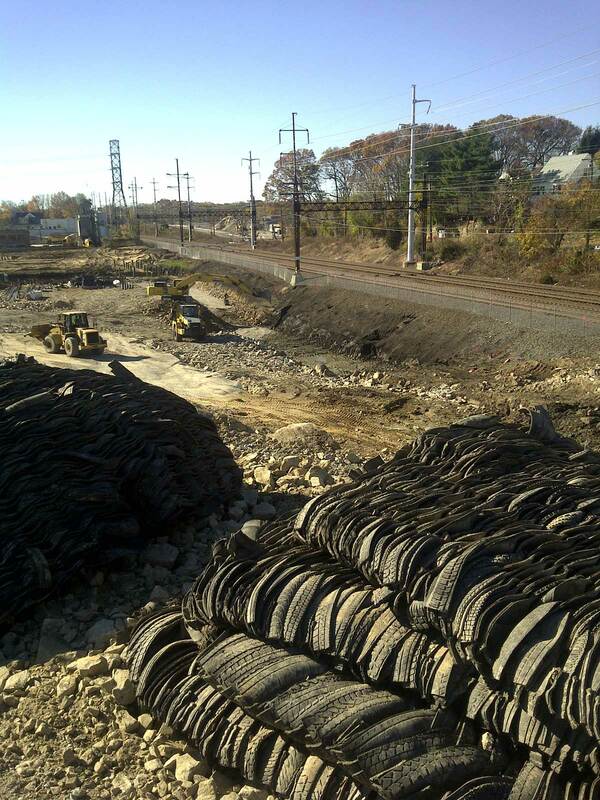 All of the work had to take place without any disturbance to the train traffic. In this area of Connecticut, an estimated 225-250 trains pass by daily. 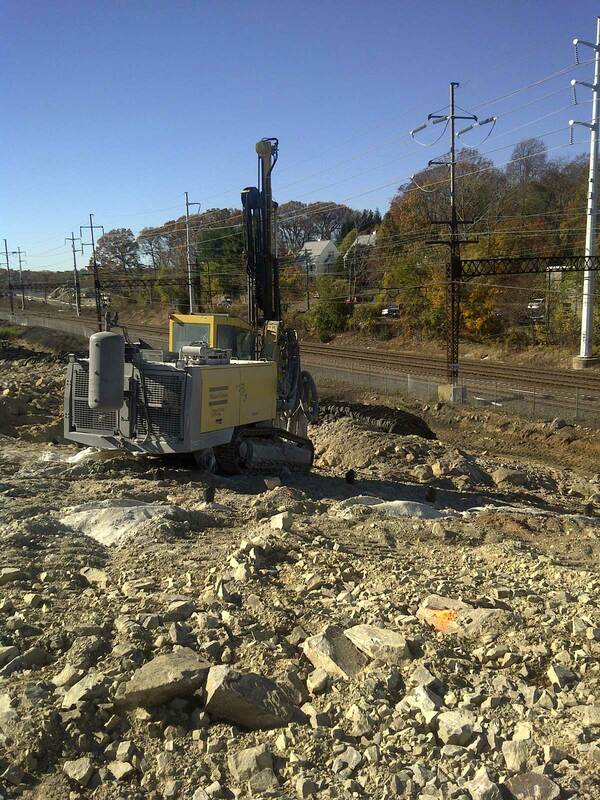 Obviously, all work had to be done without damaging any of Metro-North's structures, UI's towers, or the new bridge. Efficient operations completed without incident and with a high degree of customer satisfaction. 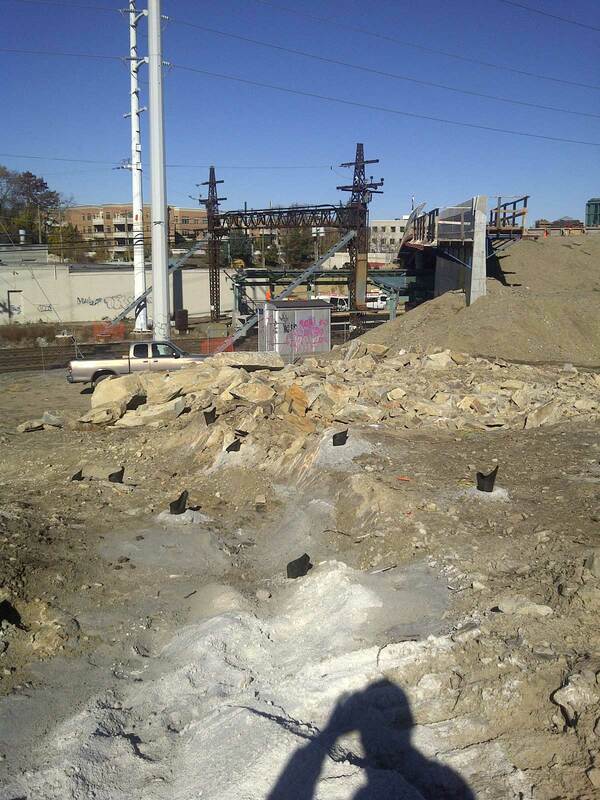 The blasting schedule was driven by concrete being poured on the site. There were two separate general contractors working on the site with different agendas and working in different areas. This required certain areas of the job to blasted by specific dates. Because blasting was not allowed within 300 feet of fresh concrete, we had to have multiple areas ready to blast, changing from day to day depending on where the two companies were pouring. 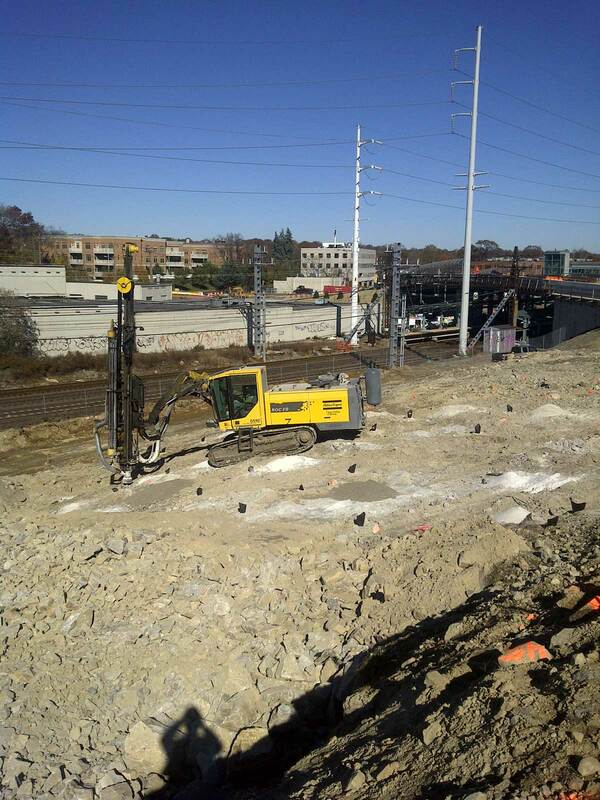 We've worked with other drilling and blasting companies, but when Metro North hears that MD Drilling & Blasting is the d&b contractor on a project, we're very happy to hear it. The procedures they submit for our review and approval are always timely and complete. More importantly, they've always kept us well informed of progress on a day-to-day basis, and we know the quality of their work will be top-notch. We rely on MD Drilling & Blasting's expertise, and we value our good working relationship with them." Joe J. Miskewicz Jr. - Peter Luizzi & Bros. Contracting, Inc.
Peter Luizzi & Bros. Contracting, Inc. I just wanted to put out there that we are more than impressed with the crew you sent out to blast the trench rock for our sanitary sewer pipe installation. The crew showed up on time and throughout the day demonstrated professional and safe work ethics. As I'm sure you know, safety is the largest focus on any job big or small, and not once was your crew ever an issue. We look forward to working with you in the future!"